Tips for Talking to Your Senior about Their Need for Home Care - All Care Hawaii. LLC. Home Care Services Maui HI: How to talk to your senior. If you have noticed that your senior is struggling with needs, challenges, or limitations that make you worry that they are not able to handle their personal needs safely and effectively, you may be considering starting home care for them. This can be a sensitive topic for an elderly adult, especially one who is accustomed to being highly independent and who may not have considered this need. The way that you approach this subject with them can make a tremendous difference in how they perceive this situation and the benefits that they can get out of it. • Prepare in advance. Before you go to talk to your senior, take the time to prepare what you want to say to them. This can be a difficult topic to discuss and you do not want to get overwhelmed or confused and forget what you want to mention. Simply sit down and make notes for yourself about the points that you want to make. You do not need to write out everything that you want to say, just a few basic notes. • Be upfront. Do not try to “sugar coat” the situation or make them “feel better” about what you want to say. This can come across as condescending, which can frustrate your senior and make them more resistant to what you are saying to them. Approach this conversation honestly and with the goal of letting them know that you are concerned about them and want to ensure that they can continue to live a high quality of life as they age. • Give them clear reasons why. Rather than just telling your loved-one that you think that they need home care, which can come across as you attempting to micromanage their life, present your senior with the reasons why you think that home care would benefit them. Explain the concerns that you have and what you have noticed that makes you have those concerns. Be clear about what a care provider could do to resolve these issues and benefit your senior. Starting home care for your loved-one can be one of the best decisions that you can make for your senior throughout the course of your caregiver journey with them. 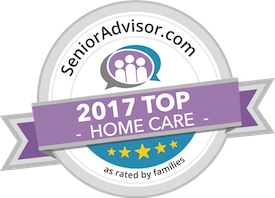 An in-home senior care services provider can be with your aging loved-one on a fully customized schedule designed to address their individual needs, challenges, and limitations while also ensuring that you are kept at the forefront of their care. Through a highly personalized set of services, this home care provider can help your senior to stay safe, healthy, comfortable, and happy throughout their later years while also encouraging them to pursue a lifestyle that is as active, independent, and fulfilling. As a family caregiver, this care provider can also make a tremendous difference in your health and well-being. Knowing that your loved-one has this care can ease your stress, help you to cope with guilt, and ensure that you have the time and energy to take care of yourself, your family, and the other obligations in your life. Have questions about home care services in Maui, HI? Contact the caring staff at All Care Hawaii today.